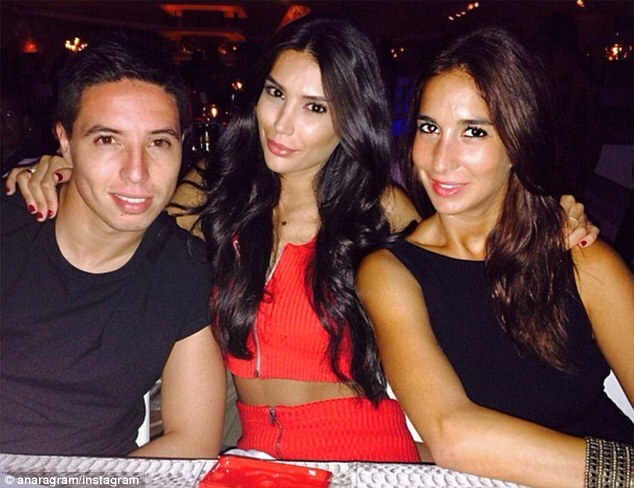 Manchester City midfielder Samir Nasri is making use of his early international retirement from the France national team by taking a break with his girlfriend Anara Atanes in Ibiza. The 27-year-old decided to rule himself out of the possibility of being selected by Les Bleus manager Didier Deschamps after he was controversially left out of France’s 2014 World Cup squad. Nasri’s girlfriend publicly blasted Deschamps back in May for omitting Nasri from the squad by writing on Twitter: ‘F*** france and f*** Deschamps! What a s*** manager! ‘Incase you didn’t read my tweet properly…. I’ll repeat myself….. f*** FRANCE!!!!! And f*** Deschamps! His omission from the France squad came following a season in which Nasri helped Manchester City win the Premier League and Capital One Cup. Citizens boss Manuel Pellegrini will be hoping Nasri returns from his holiday fully refreshed ahead of Manchester City’s clash against Arsenal at the Emirates Stadium on September 13.